Samsung Electronics America, Inc. announced the Samsung Chromebook Plus and Chromebook Pro, the latest generation of its Chromebooks that pairs the power and productivity of a laptop with the flexibility and versatility of a tablet. Samsung and Google partnered to design this next generation Chromebook, which is born at the intersection of hardware and software innovation. The Samsung Chromebook Plus and Chromebook Pro are designed for Google Play so you can use all the apps you love in addition to movies, books and music. 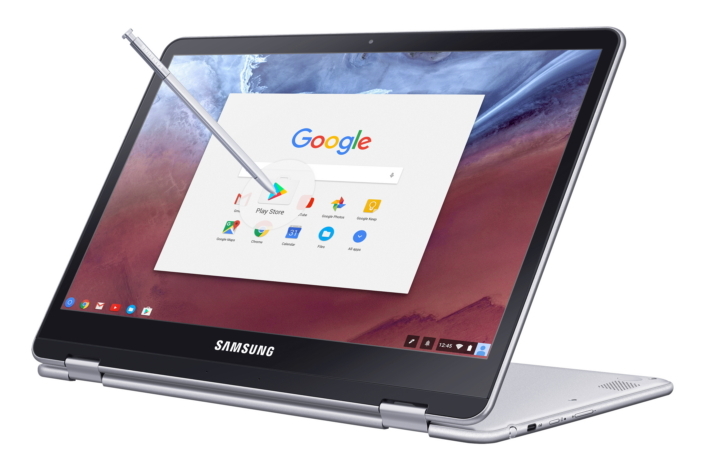 The new Samsung Chromebooks also offer a 360-degree rotating touchscreen, quad HD screen, built-in digitized pen and new lightweight metal design.